The UK Government’s Department of Energy and Climate Change (DECC) published proposals in August for dramatic reductions in financial support for renewable energy technologies, to take effect 1 January 2016. We are now midway through a consultation period and pressure is mounting from various directions as bodies outside the renewables sector start to realise what this would mean – effectively a dismantling of the recently created renewable energy development market in the run-up to December’s Climate Change Conference in Paris. – former US Vice President Al Gore saying he is “puzzled” by the UK Government’s stance. “Words, words, what about actions?” he asks. “I hope they have got a plan… The idea that they have run out of money is crap… If there’s no money, how can they offer [a strike price of 9.5p/kWh] to nuclear”, a reference to the Hinckley nuclear reactor deal announced this week. And today The Guardian reports that £1,700bn of investment funding is now being switched out of fossil fuel companies for fear of climate change and loss of investment value. We are left wondering whether Amber Rudd and her colleagues at DECC will change direction now as the pressure grows or whether there might perhaps be an eleventh-hour realisation, on the eve of Paris, that we are sending exactly the wrong signals to global partners and investors on green energy. This may have with worked Scottish Independence, where voters could be swayed at the last minute, but would be too late for a renewable energy industry which has already realised that it is heading for a big contraction under the current proposals. You can review DECC’s proposals and respond to them here. Sources: with thanks to edie.net, Guardian Newspapers and BBC News. Fine Energy is pleased to announce that Adur and Worthing Council have awarded planning permission for the installation of two Norvento nED100 wind turbines at Shoreham Port. The decision was made on the evening of Monday 16 March 2015 at a planning committee meeting. 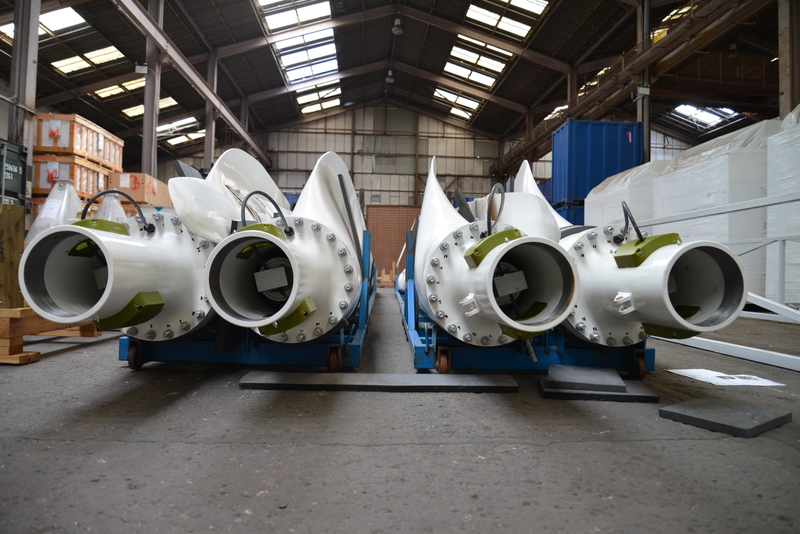 The siting of the turbines is in an iconic location on the edge of a working UK port and they will be situated so as to feed power directly to the Pump House. The Pump House is both a well-known landmark in the local area and is also essential to the day to day operation of the port – this is because the pumps maintain a workable water level in the basin. Accordingly, the scale of development has been chosen to match the annual energy requirements of the Pump House. 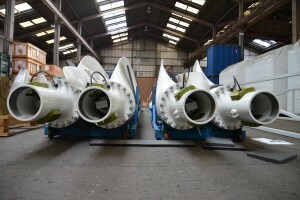 The turbines will be placed at the top of the beach and will be protected from the sea through a flood-resilient design. All electrical equipment will be placed at sufficient height within the tower to be safe in the event of a flood and the door will be flood-resistant. Regular bi-annual maintenance will ensure that all parts of the machine are not being significantly damaged by the corrosive sea air. Fine Energy identifies and develops sites for small and medium scale wind turbines across the UK. Shoreham Port recognises the importance of energy independence and it aims to become a centre of excellence for renewable energy generation. Fine Energy jumped at the chance of working with the Port Authority to develop a wind energy site. The location of the site raised very specific requirements to provide power on-site and consequently Norvento was a natural choice for a manufacturer. Norvento Wind Energy UK is consistently raising the standard of onshore wind technology. Wind turbine projects of this scale have a working lifetime of 20 years and the Norvento Group drew upon their 20 years’ experience in renewable energy plants when designing the nED100. Moreover, Ivo Arnus, Director, UK Business Development has previously said that his company regard this project as a flagship development in the UK. Importantly, this is the first 100 kW wind turbine model to achieve full IEC 61400-22 certification, and those familiar with the renewable industry regulations will appreciate the significance of this qualification. Norvento is becoming established in the UK market and the land rental arrangement offered by Fine Energy is a perfect opportunity for Norvento to get turbines in the ground without the need for external investors. We have received an overwhelming level of support from the Shoreham community, including letters of support from local activist groups. Community consultation has been an integral part of the planning process and the development team engaged with the local community in order to design a low impact wind energy project which would benefit both the port and the surrounding area. In an age where renewable energy, particularly wind, sometimes encounters resistance from local objectors it is encouraging to see a new project going ahead with such enthusiastic local support in 2015. Energy independence will be vital for future generations living in the UK and wind energy is an efficient and forward-thinking technology. Fine Energy is reacting to demand and is continuing to pursue its traditional business with rural land owners whilst at the same time diversifying into ports and commercial properties. Interested in purchasing cumulative datasets? Linknode couldn’t make it any simpler for you to enjoy the benefits that come with accessing cumulative projects within the National Dataset.